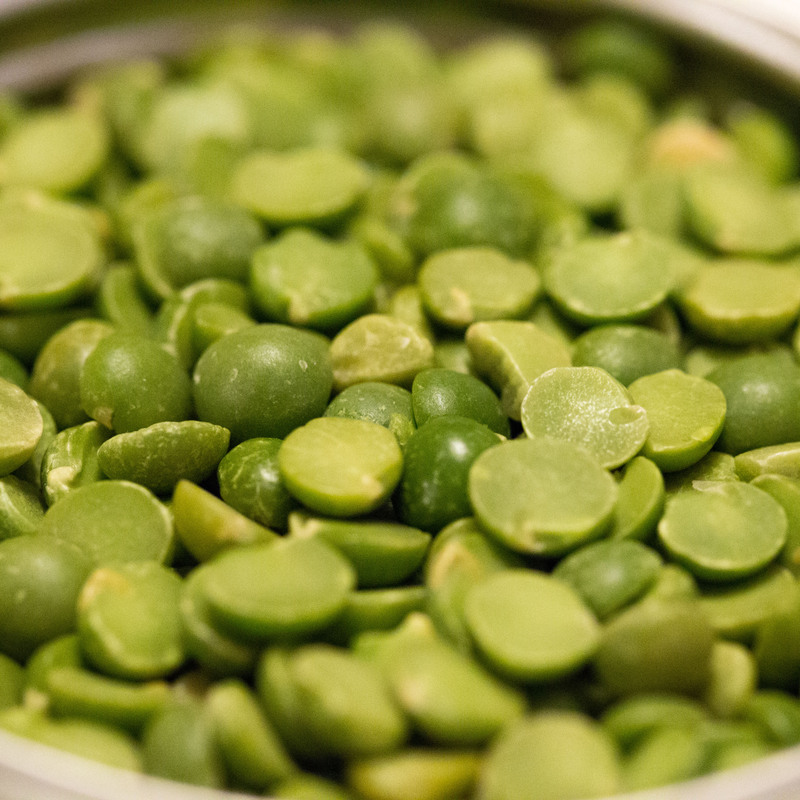 Split peas offer significant levels of protein, iron, zinc, and phosphorus. A diet rich in split peas and other legumes may help reduce cholesterol, hypertension, and the risk of prediabetes, and may also offer significant anti-inflammatory effects. Split peas are high in phytates, which may be the most important variable governing the frequency of colon cancer, and may also have protective effects against osteoporosis. The safest form of iron (“non-heme iron”) is found in split peas, other legumes, and in several types of fruits, vegetables, nuts, and seeds. Split peas and other whole foods contain magnesium, which may favorably affect some metabolic and inflammatory disorders, including diabetes and heart disease.